With Tania Bruguera, Dr. Frank Ochberg. 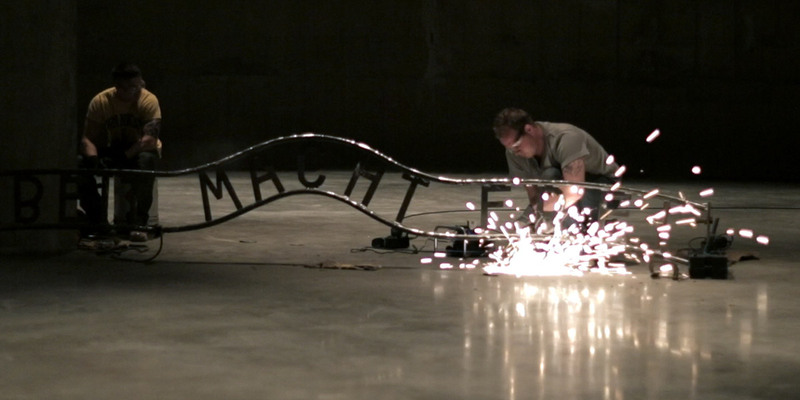 How does incarceration affect an artist’s psyche? 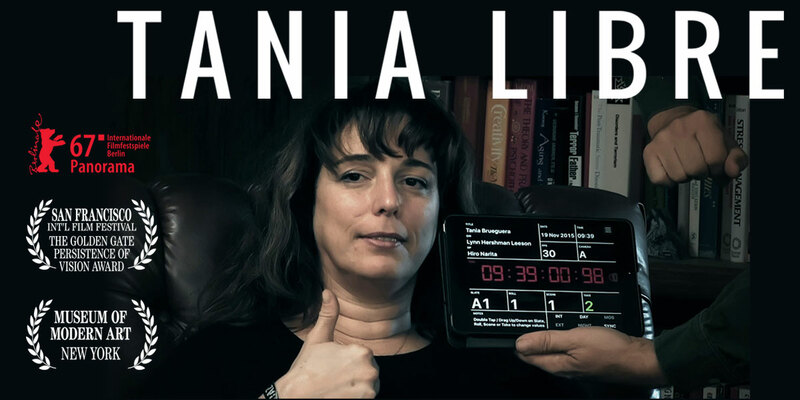 In a fascinating and novel approach, Lynn Hershman Leeson allows us to eavesdrop on one of the world’s most celebrated—and daring—Cuban artists, Tania Bruguera’s session with Dr. Frank Ochberg, a New York-based psychiatrist and pioneer in post-traumatic stress disorder and the Stockholm syndrome. Bruguera visited Dr. Ochberg after spending eight months in prison accused for treason after announcing her intention to provide an uncensored platform for citizens in Havana to freely express their views in public for one minute. During the session, Bruguera eloquently reflects on the emotional ramifications of constant struggles with authorities, the psychological and physical effects of her interrogations, and a family dynamic that mirrors the subversive surveillance culture that many Cubans encounter in their daily life. The film touches upon broader issues related to the revolutionary potential of art, censorship, and the loss of civil liberties. One of the most influential media artists, Lynn Hershman Leeson is widely recognized for her innovative work investigating issues that are now recognized as key to the workings of society: the relationship between humans and technology, identity, surveillance, and the use of media as a tool of empowerment against censorship and political repression. Over the last forty years she has made pioneering contributions to the fields of photography, video, film, performance, installation and interactive as well as net-based media art. Her five feature films – Strange Culture, Teknolust, Conceiving Ada, !Women Art Revolution: A Secret History, and Tania Libre are all in worldwide distribution and have screened at the Sundance Film Festival, Toronto Film Festival, and The Berlin International Film Festival, among others. 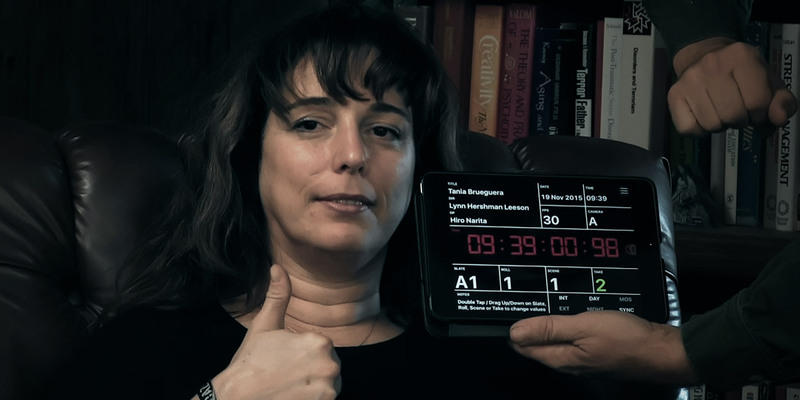 She was awarded the Alfred P. Sloan Foundation Prize for writing and directing Teknolust. !Women Art Revolution received the Grand Prize Festival of Films on Art. Artwork by Lynn Hershman Leeson is featured in the public collections of the Museum of Modern Art, The San Francisco Museum of Modern Art, The Zentrum fur Kunst und Medientechnologie, the Los Angeles County Museum of Art, The Tate Modern, The National Gallery of Canada, and the Walker Art Center in addition to many celebrated private collections. 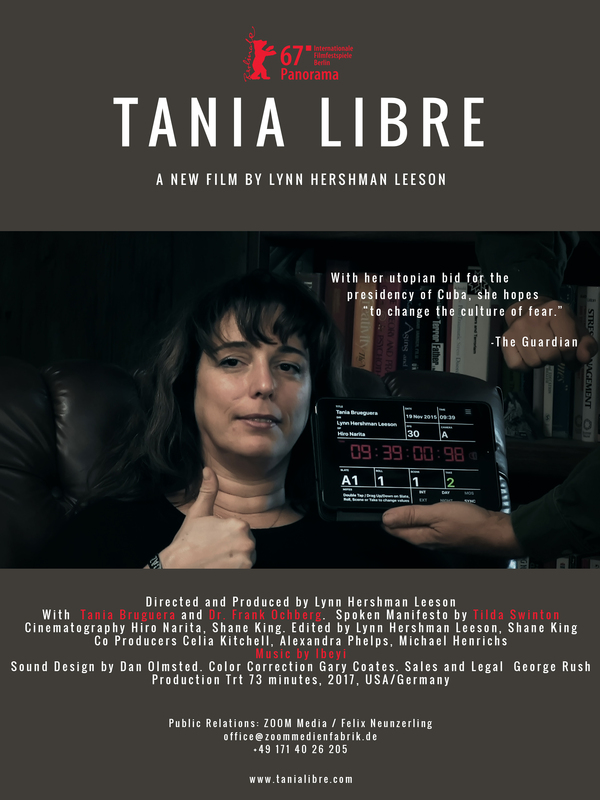 I decided to make a film about this story so that as many people as possible could learn about the recent experiences of Tania Bruguera. In the film, we hear accounts of events and we see them moving between conversation, trauma, memory, document, performance and interview. How does trauma motivate action? When does performance supplant memory. The conversation between a noted therapist and renown artist displaces the events, and is itself, in its taped and tracked record an vehicle of surveillance through which an audience is guided into the intimate process of individuals and families that create the culture of Cuba. There is a growing suspicion against artists who threaten to expose freedoms: artistic expression, and information. This suppression is aimed at the loss of an individual’s voice; an eradication of their fundamental rights and a silencing of their participation in society.